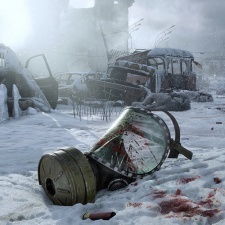 Update:Valve has said that Metro Exodus will be dropped from its store "later today" after publisher Deep Silver palled up with Epic Games. In a post on the project's store page, the Steam firm expressed disappointment that the publisher has opted to partner with its competition, especially after the title had been available to pre-order for five months. Existing purchases will be fulfilled via Steam. The game is out in two weeks. "Later today, sales of Metro Exodus will be discontinued on Steam due to a publisher decision to make the game exclusive to another PC store," Valve wrote. "The developer and publisher have assured us that all prior sales of the game on Steam will be fulfilled on Steam, and Steam owners will be able to access the game and any future updates or DLC through Steam. "We think the decision to remove the game is unfair to Steam customers, especially after a long pre-sale period. We apologise to Steam customers that were expecting it to be available for sale through the February 15th release date, but we were only recently informed of the decision and given limited time to let everyone know." As far as we are aware, this is the first time that Valve has commented publicly in any way on its newfound competition in Epic Games. Original story: The latest chapter in Deep Silver and 4A's series of Metro game adaptions is going to be exclusive to the Epic Store on PC. That's according to a release the Fortnite firm put out today, in which it said that Metro Exodus will be available "solely through the Epic Games store". In itself, that's not particularly surprising - especially as Epic is trying to nail down partners for its newly-announced storefront. What is strange is the fact that Metro Exodus is currently available to buy via Steam at the time of writing, with pre-orders having been live for the project since August 2018. Epic says in the release that: "Any customer with an outstanding pre-order for Metro Exodus on PC through any digital retailer will receive their game as expected," which based on other media outlets' communication with Deep Silver means that if consumers pre-ordered on Steam then they'll be downloading the game from Steam. Not all that exclusive, is it? “Metro Exodus is amazing and is deservedly one of the most anticipated PC titles of 2019,” said Epic founder and boss Tim Sweeney. Epic's new storefront was announced at the end of 2018 boasting a competitive 88/12 per cent revenue share. A rather mid-tier and indie line-up was announced for the platform. The Fortnite firm has since brought Ubisoft on board, with the French publishing giant launching The Division 2 on Epic rather than Steam, which is certainly a good get.